Don’t Wait to Move Up to Your Dream Home! 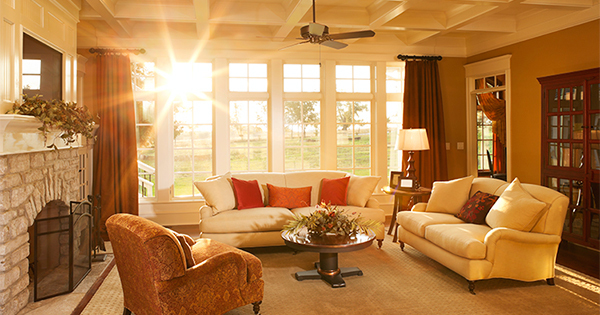 Now that the housing market has stabilized, more and more homeowners are considering moving up to their dream home. With interest rates still near 4% and home values on the rise, now may be a great time to make a move. Sellers should realize that waiting while mortgage rates are increasing probably doesn’t make sense. As rates increase, the price of the house you can afford will decrease if you plan to stay within a certain budget for your monthly housing costs. 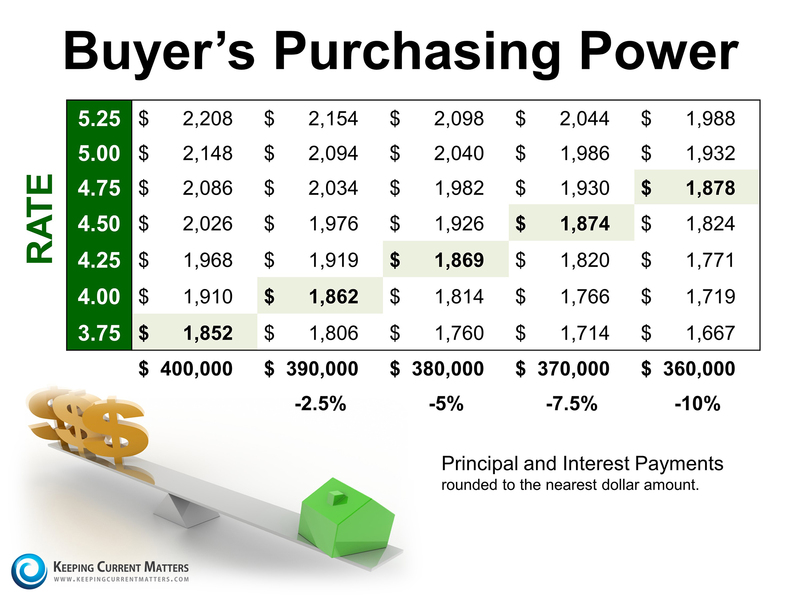 With each quarter percent increase in interest rate, the value of the home you can afford decreases by 2.5%, (in this example, $10,000). Experts predict that mortgage rates will be closer to 5% by this time next year. Act now to get the most house for your hard earned money.